In 2014–2015, the Museum of Modern Art in New York held an exhibition of Matisse’s cut-outs, including all his lesser-known works. The largest and most extensive Matisse cut-outs exhibition to date, it included over 100 cut-outs. In displaying all the cut-outs over the years, in varying stages of completion, truly brought to light the complexity as well as the unapologetic nature of Matisse’s cut-outs. 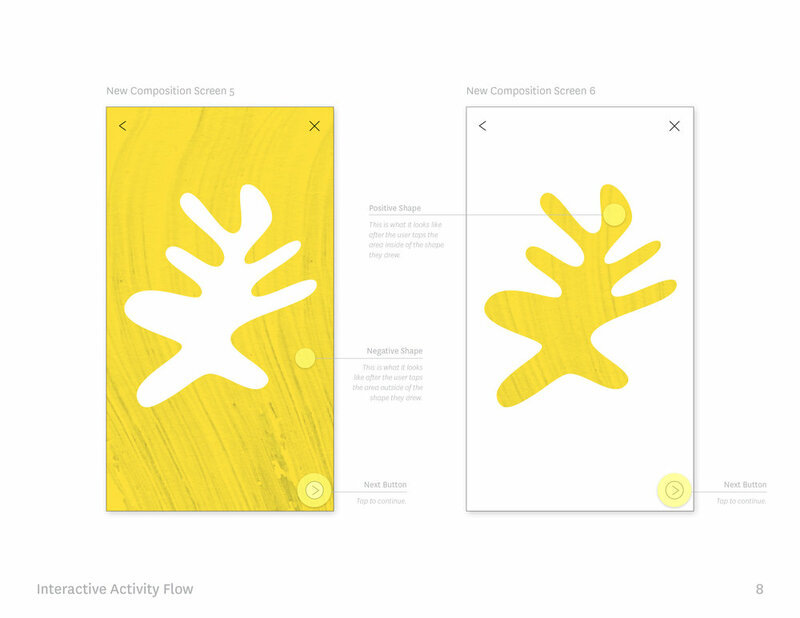 This Matisse: Cut-Outs app is an complete index of Matisse's cut-outs works, providing details and context about each piece. 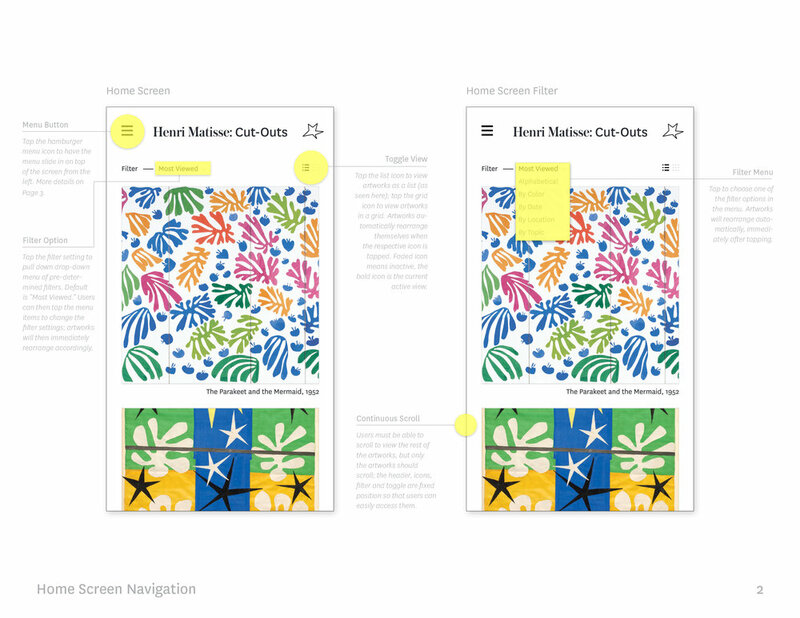 Additionally, it includes an interface where the user can choose colors, and use their finger to cut out shapes to arrange their own Matisse cut-out compositions, and save them to their personal portfolio. 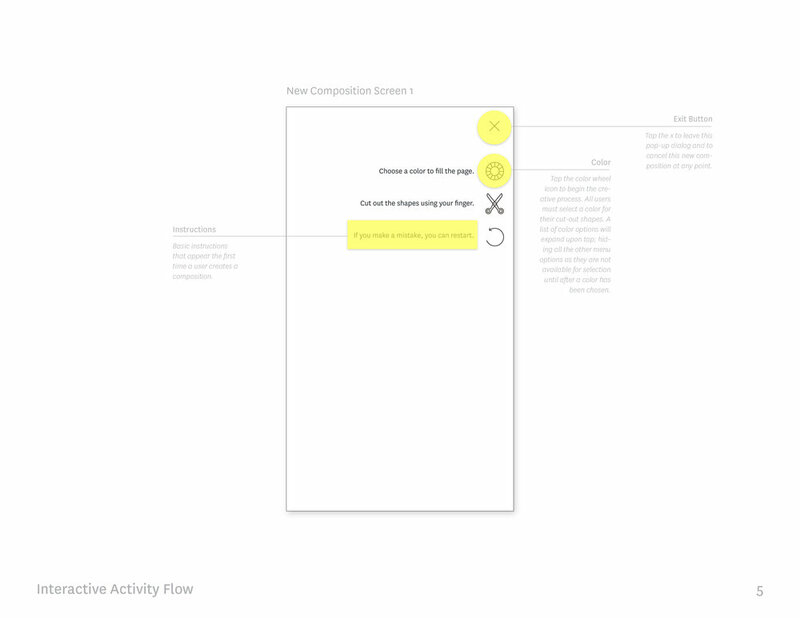 This would allow the user to better understand the process of cutting each shape by hand, and arranging them together. Finally, the user would be able to share their “artwork” to social media or use them as inspiration for their own artwork.